Tucker Yoder is stepping down as Executive Chef of Clifton Inn, a position many consider the peak of the culinary ladder for rising Charlottesville chefs. 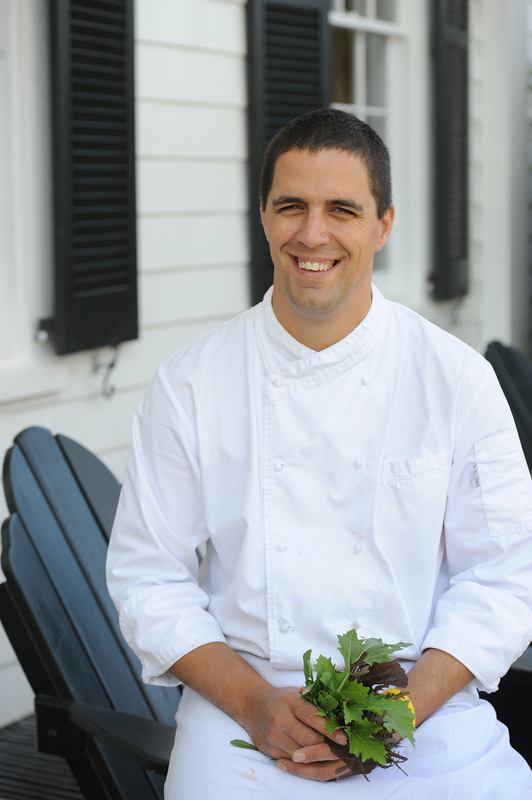 Among the area’s most progressive chefs, Yoder has presided over the Clifton Inn kitchen for more than four years, earning countless accolades during his tenure, including Charlottesville’s Rising Star, as named by Mt. Rushmore Chefs Tim Burgess and Vincent Derquenne. “It has been a pleasure working with the great team here at the Clifton,” said Yoder, “and I look forward to returning for dinner and a stay in the future.” Those who want one last taste of Yoder’s food at Clifton Inn have until Christmas Day, his last day on the job. Prior Executive Chefs of Clifton Inn have gone on to do great things in the area. Craig Hartman runs BBQ Exchange, Christian Kelly co-owns Maya, Rachel Willis owns Cakes by Rachel, and Dean Maupin runs the legendary C&O. Stay tuned for news of what Yoder has planned next.